A video game named PAC-Man took the market by storm in 1981. A Japanese computer firm, Namco Limited, modeled the game after Paku, a Japanese folk hero known for his appetite. Bally Manufacturing bought the U.S. rights in 1980 and turned it into a video game a year later. The game was simple, PAC-Man had to eat all the dots in his maze, staying alive by running from ghosts, called Galaxians, found in the maze. 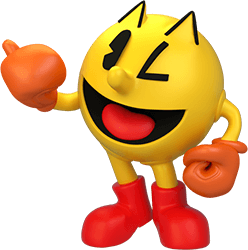 If PAC-Man ate a giant dot, he could eat his ghostly enemies. To regain strength, he needed to eat floating fruit in the maze. Soon, PAC-Man could be seen on everything from clocks, cards, toys, and pajamas. Atari moved PAC-Man into households with the introduction of the PAC-Man video game. This was the start of the PAC-Man demise. Around 1982, PAC-Man hit a slump that it never really go out of. Even the introduction of Ms. PAC-Man did not seem to help.